Sandy Alderson’s plan has been and will continue to be developing the Mets young arms in an effort to have a dynamic yet cheap starting rotation. Matt Harvey and Jon Niese are already in place and the Mets top pitching prospects Zack Wheeler, Rafael Montero and Noah Syndergaard have spots waiting for them. Wheeler pitched well Thursday night vs. Tacoma in what is considered to be his final minor league start. Wheeler gave up just one run against a Triple A team that has scored more runs than anyone else. 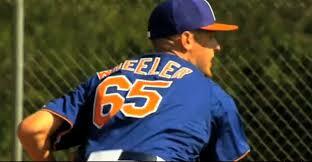 Wheeler is expected to pitch the night half of a double header on Tuesday in Atlanta for the Mets. Montero has been promoted to Triple A Las Vegas and will start on Saturday. Montero, 22, had made one spot start for Vegas and pitched well earlier this year. If he pitches well in Vegas and that’s a big if with the way pitchers have fared there, then he can be in position to be in the Mets rotation later this season. No Mets prospect has had their stock go up more in the last calendar year than Rafael Montero. Syndergaard who the Mets got from the Blue Jays in the R.A. Dickey trade has pitched very well for Port St. Lucie. He could be in line to get a promotion to Double AA Binghamton in a few weeks. While Syndergaard is further away, he too has a very good arm and is considered a top 30 prospect in the game. Keep in mind that the Mets got Syndergaard and Travis d’Arnaud for R.A. Dickey, who has given up more earned runs than anyone else in baseball through the first 65 games or so. Dickey is 5-8 with a 5.11 ERA in 88 innings for the Blue Jays this season. The Mets can use one of these guys as trade bait or can put them all together for what could be one of the best young rotations in baseball. In an absolute must read for any baseball fan, let alone Met fan, Brian Costa of the Wall Street Journal, details how bad the situation is for the Mets Triple A affiliate in Las Vegas. Costa talks first about what we already knew, due to the Mets poor job in developing a farm system no minor league team wants to be associated with them. “They’re undesirable,” said Dave Rosenfield, a longtime Norfolk (Va.) Tides executive. “Nobody wants them.”Norfolk was the Mets Triple A affiliate up until 2006. 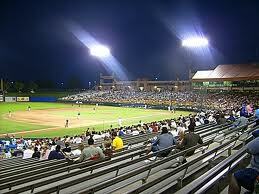 There are 30 major leagues teams but just 30 Triple A minor league teams so it’s kind of like musical chairs. Due to the Mets inability to develop a farm system along with the meddling nature of the Wilpons, Norfolk and eventually the Buffalo Bisons, dumped the Mets, forcing them to Las Vegas. “When he (Wilpon) became involved in everything was when things changed,” Rosenfield said. “I dealt with him on some things and somebody always had to go to him if you wanted to do anything. He had his nose and hands in everything.” Rosenfield said. The Mets did their best in 2010 of keeping Buffalo happy by bringing in veteran minor league talent like Mike Hessman and R.A. Dickey, (yes the 2012 Cy Young award winner was brought in to appease a minor league team) Both players along with others however were called up early that season to Queens and the Bisons were a losing team once again. Last offseason Buffalo signed a player development contract with the Toronto Blue Jays, leaving the Mets with Las Vegas in a game of undesirable musical chairs. The Mets will be in Vegas for at least this year and next year. We have already heard complaints from prospects like Zack Wheeler. In the article even executives in the Las Vegas organization know the stadium is far from pro ball standards. The field is dry, making it difficult to grip a baseball. The ball flies when it’s put in play. The organization only has two groundskeepers so they don’t have time to water the field before games somehow. “You get in situations where you’re like, ‘I’m not looking for a double play here. I need to strike this guy out because I’m afraid of him putting it in play. '” Greg Burke said. Sandy Alderson has acknowledged that putting the Mets Triple A team in Vegas, makes it significantly more difficult to evaluate players. 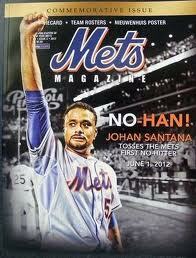 The only bright side to the Mets situation is they are only signed up to be in Vegas through 2014. 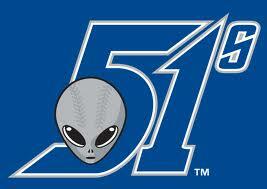 If the Mets can develop their young players especially on the offensive side of ball they can turn the 51’s into a winning club. If they can do that they can probably leave Vegas after next year for a club closer to New York. That’s what the Blue Jays did and they are very happy in Buffalo. The piece of the R.A. Dickey trade that has gotten the least publicity, pitching prospect Noah Syndergaard, has been pitching very well for the High A St. Lucie Mets. Syndergaard, 20, in seven starts for St. Lucie has a 2.61 ERA with 38 strikeouts in 38 innings. In his last start Syndergaard went seven innings giving up just four hits and a run. Again he’s just 20 but if he keeps pitching this well, he will be in line for a mid season promotion to Binghamton. Syndergaard has a plus plus fastball with a curveball and a changeup that have the potential to be above average pitches in the major leagues. Syndergaard could be in line for a promotion to the big leagues at some point in 2014 if he continues to cruise through the minor leagues. For the record R.A. Dickey is 2-5 with a 5.06 earned run average in 48 innings this season for the Blue Jays. As the Met get set to (hopefully) play two games against the Colorado Rockies, let’s take a look at what some former Mets are doing in Toronto. 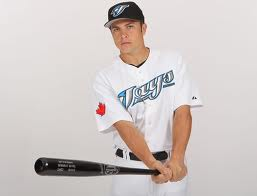 Over the winter as you all know the Mets traded R.A. Dickey and Josh Thole to the Blue Jays. Former Met all-star Jose Reyes was also traded to Toronto in a separate deal from Miami. It hasn’t gone as swimmingly so far in Canada. After being carried off the field, Jose Reyes is expected to miss three months. R.A. Dickey has gotten roughed up in two of his first three starts including giving up five runs in the first inning in a game vs. the Red Sox last week. It’s still very early but Dickey has a 5.82 earned run average in just 17 innings. The concerning part for Blue Jays fans is he hasn’t had control of his knuckleball. Again it’s early but his walk rate has doubled from two over nine innings to 4.5. 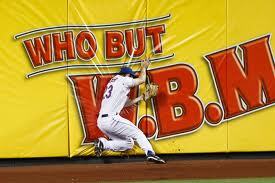 Josh Thole didn’t make the Blue Jays somehow and J.P. Arencibia has struggled to catch Dickey’s knuckleball. Thole will be up at some point if Arencibia continues to struggle with Dickey’s knuckler. Jose Reyes has a fine start to his season but had awkward slide into second in a game against the Royals. 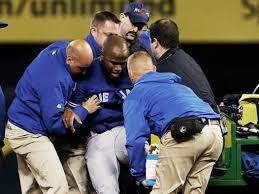 He had to be helped off the field and tore ligaments in his left ankle. The Blue Jays (6-7) are hoping to have Reyes back after the all-star break. It’s still incredibly early but so far the Mets look wise to trade Dickey. John Buck is batting over .340 and Travis d’Arnaud is hitting well in triple AAA Las Vegas. Well have to wait and see. BrokeMets will update on a lot more former Mets as the season progresses. Well, the offseason is officially over and it is spring training time. With games just around the corner and Opening Day just six weeks away, let’s take a short moment to assess the Mets offseason. It wasn’t exactly as active of an offseason as w e had thought and the team is very similar to how it looked at the end of last season. Here were the biggest moves Sandy Alderson and crew made this winter. Mets trade R.A. Dickey, Josh Thole and Mike Nickeas to the Toronto Blue Jays for John Buck, Noah Syndergaard, Travis d’Arnaud and Wuilmer Becerra. This trade was fantastic for the Mets as they added two top 100 prospects including Travis d’Arnaud who is expected to be half of an all-star battery team with Zack Wheeler in Queens for years to come. 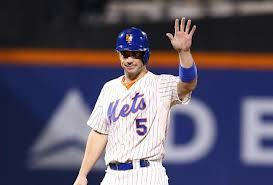 Mets extend David Wright for eight years and $138 million. Did the Mets overpay here a little? Maybe a little but remember that includes Wright contract for this year which was originally at $16 million. Wright is no-doubt the face of the franchise and will be with the Mets until at least 2020. 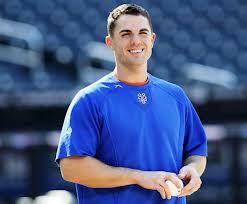 Alderson mentioned the stuff that Wright does for the Mets off the field was also a major factor in this signing. Wright will own every Met position player record by the time he is done playing. Mets sign Shaun Marcum to a one year deal worth $4 million plus incentives. This was a good move for the Mets as Marcum is the best pitcher they could have gotten to replace R.A. Dickey in their price range. Marcum has been a very solid #2 starter for the Mets when healthy, If Marcum is healthy he will help the Mets a lot and if they are out of the race then they can flip him for more prospects. 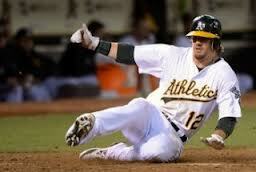 Mets acquire OF Collin Cowgill from the Oakland Athletics for Jefry Marte. This was the under the radar move of the offseason as Cowgill, 26, who was once thought of as a pretty decent prospect will really help the Mets dominantly left-handed outfield. Cowgill can play a good center-field for the Mets and has been compared to former Met Lenny Dykstra. Cowgill is even wearing the same number (#4) that Dykstra wore. Cowgill has never gotten as many at bats at the major league level that he is expected to this season. The Mets made four solid if not good moves this offseason to help the team going forward. 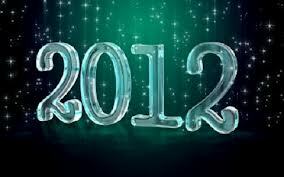 The first two moves were meant more for the future of the team and although the Mets plan is more for 2014, these moves can help the team improve in 2013. The team’s bullpen is improved but we won’t really know how much until the season starts. They never really got that closer they were looking for. Other than Cowgill, the Mets didn’t add another outfielder on a major league deal or in a trade this offseason. We went in thinking the Mets needed a catcher, 2 outfielders and a whole new bullpen. I give them an A on the catching situation in acquiring Buck and d’Arnaud, a D for the outfield for just not addressing their needs and a B- for the bullpen as the jury is still out on how improved this bullpen is. Overall for the offseason I would give the Mets a C+. They did clear up the situations of both David Wright and R.A. Dickey but other than that there isn’t a lot to write home about. 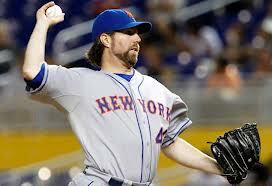 Well it’s official, the Mets have traded Cy Young Award winner R.A. Dickey along with catcher Josh Thole and catcher Mike Nickeas. They will acquire top prospects C Travis d’Arnaud, RHP Noah Syndergaard, OF Wuilmer Becerra along with veteran catcher John Buck. The trade has been announced by both sides. To make this trade official the Blue Jays brought Dickey into their Spring Training site this morning in Florida for a physical. 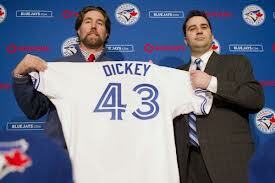 The Blue Jays also signed Dickey to a 2 year contract extension. 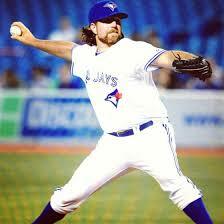 R.A. Dickey’s new contract with the Blue Jays is 3 years for $30 million along with a $12 million club option for 2016. 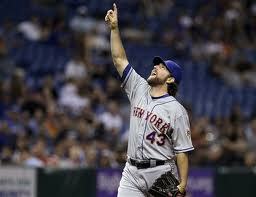 Dickey got a very reasonable contract with the Blue Jays but the Mets still go out looking like bandits in this trade. They winded up finding their catcher of the future in d’Arnaud, a stopgap catcher in Buck, a legit power pitching prospect in Syndergaard along with another intriguing prospect in the 18-year old Becerra. 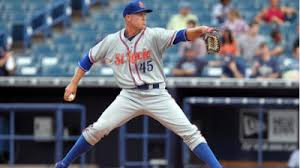 The last time a Cy Young award winner was traded was when the Blue Jays traded Rodger Clemens to the New York Yankees. This is an incredible trade for Sandy Alderson as he found a way to turn a 38-year old knuckleballer into two “difference making” prospects. Out of the three prospects that the Mets got in this deal, only the 23-year old d’Arnaud is expected to play for the Mets in 2013. We will only truly know who won this trade until all of these guys are in the major leagues but Alderson did what he wanted and that’s find difference making players to improve the Mets farm system.